Generational succession is an evergreen topic in family business and governance is key to getting it right. 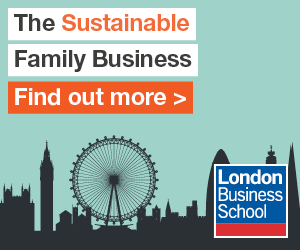 Pick up any publication on family business and you will find that most articles are about succession, governance or both, according to London Business School’s Åsa Björnberg and Heinz-Peter Elstrodt. But it must be designed in a way that creates cohesion and sound decision-making among members, say London Business School’s Åsa Björnberg, and Heinz-Peter Elstrodt, both Executive Fellows of Organisational Behaviour. In the current economic climate, companies face ever-increasing creative destruction. According to the Austrian-American economist Joseph Schumpeter, creative destruction is the force that revolutionises economic structure from within, by continuously destroying old frameworks and replacing them with new ones. Creative destruction is fuelled by disruption and dwindling industry and company lifecycles. Economic history shows that no company has beaten the market in the long run. In today’s world, startups can be vastly more valuable than long-standing corporations. This is a core challenge to family firms, whose holy grail is stewardship: to pass the company to the next generation with tangible increased value. To achieve this, family firms have to internalise what the market does: creative destruction. And they have the means and power to do so. Unlike investors in classic corporations, most family business owners aren’t diversified or liquid. As such, classic corporate strategies don’t apply. But on the upside, family business owners have many more degrees of freedom, which is a big advantage. Many non-family corporations have their hands tied when it comes to internalising creative destruction, because it’s difficult for the CEO to dramatically change course. Family owned firms, on the other hand, can trail-blaze this practice, based on their long-term vision, ownership control and entrepreneurial energy. Successful family businesses in operation for 100 years or more have diversified and/or made drastic changes in their portfolio over time. This is the very reason for their continued success. Carefully engineered innovation and portfolio renewal are the main ingredients in this recipe for success. The key levers are owner strategy and corporate strategy, which means taking a helicopter view of the entire portfolio. Applying these strategies means actively diversifying, divesting where appropriate and entering new markets. Let’s look at how this can be done. The owner strategy goes beyond rational objectives and covers other factors such as the family legacy. For one European family business, the primary objective is to protect its nation’s democracy by maintaining a presence in publishing. Involving the next generation is more important to other companies: one Latin American conglomerate won’t launch a new business if family members aren’t interested in heading up what might be a profitable venture. The challenge is that family members might have different ideas about the critical issues. Views may differ based on family members’ age, the role of the business in their lives and how it relates to their wealth portfolios. Therefore, an extensive discussion and negotiation is often necessary. Complexity is another challenge. Often there are a host of assets such as operating companies, family offices and participations. But complexity is also advantageous. For example, having a family office as an asset is great for risk diversification and liquidity. The owner strategy has to set out the objectives for the company’s entire portfolio. If done properly, it creates opportunities for innovation and portfolio renewal, and provides managers with a clear mandate on how to pursue growth. Without it, decisions are often taken by consensus and can lead to family members settling on the lowest common denominator. This, in turn, may result in a mediocre business for the owner and general confusion among the managers about where the company is heading. Taking an active portfolio approach helps to spark creative destruction inside the family business, through different activities. Creation can be done by major venture capital activities, through the investment into new ventures using the family business wealth. Another important activity is the continued operations of the companies in the Group, which simply means stewarding existing core businesses. Destruction – or trading – can be done through private equity funds that turn over their portfolios as a matter of design. Some family businesses, in particular large, longstanding European ones, have institutionalised this by integrating these activities into a formal approach to doing business, and thus run three very different businesses: venture capital, core and private equity. These businesses require different talents, cultures and incentive mechanisms. In many family portfolios, the corporate centre (a central function that provides services to all businesses in the portfolio, typically in the areas of strategy, HR, finance and legal) provides analysis and active support for how capital should be allocated across existing and new businesses. Such a flow of intelligence is adopted by Ayala Corporation, a seventh generation Philippine family conglomerate, whose motto is ‘pioneering the future’. The company’s corporate centre has a special arm dealing with corporate strategy and development. When internalising creative destruction, letting go is often a major roadblock. One of the main benefits of family ownership is emotional attachment. While this enables continuity, motivates employees and provides purpose, it can lead to too much investment in, and an unwillingness to let go of, parts of the portfolio. An inspiring example of the ability to let go is provided by Grupo Jose de Mello in Portugal. The family lost everything in the 1974 revolution, but then restored the entire group to its former glory. The company has since divested interests and acquired new ones at an astonishing tempo. The family may have already had a major lesson in letting go, resulting in each member’s emotional attachment changing fundamentally, but not disappearing. For family businesses, the next generation is an obvious source of fresh thinking. They might have entrepreneurial, innovative or managerial talent, and financial minds who focus on investments. All of these talents can be harnessed if a clear portfolio strategy exists: entrepreneurs create, managers run the business and investors trade with other companies. This also benefits the next generation, whose ventures may enjoy better terms such as access to capital, networks and mentoring. The traditional notion of the next generation protecting the family wealth should be broadened to also stewards of creative destruction. They should actively assume roles in innovation and portfolio development and involve themselves in governance and/or management, to suit individual profiles. This is a necessity to keep family businesses competitive, ahead of economic development and attractive for future leaders. For family firms to achieve sustainability, the imperative is to mirror the dynamic turbulence of the outside world inside the business. Those who internalise creative destruction and get support for developing an owner strategy can do this very well, because of their ability to combine entrepreneurialism with long-term stability. With this unique fingerprint, family firms have the means to turn Schumpeter’s prediction on its head and actually beat the market.